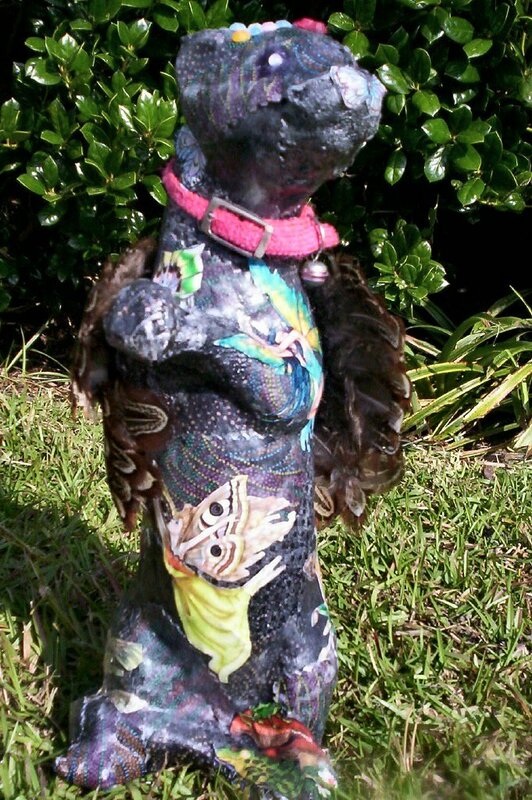 And we will dearly love thee ever..."
Please click here to go to Jubilee's Memorial Page. 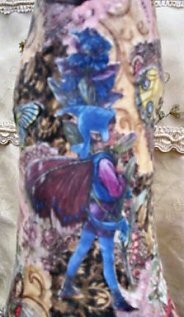 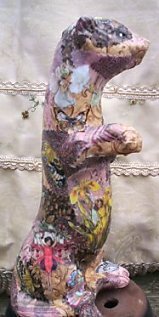 click on pic to see larger view! 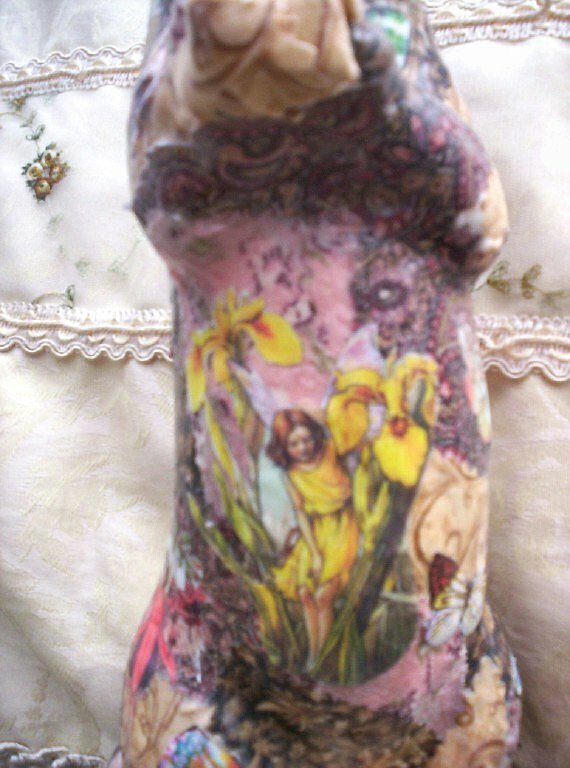 Pictures just do NOT do these justice!!!! 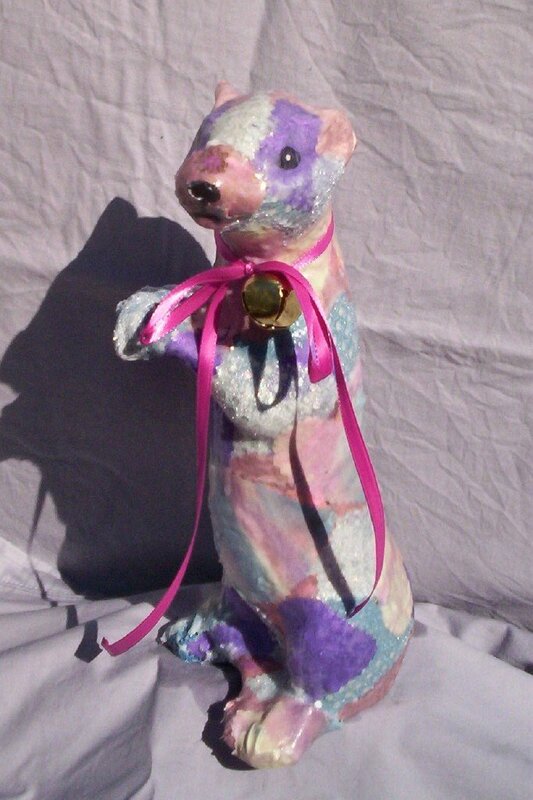 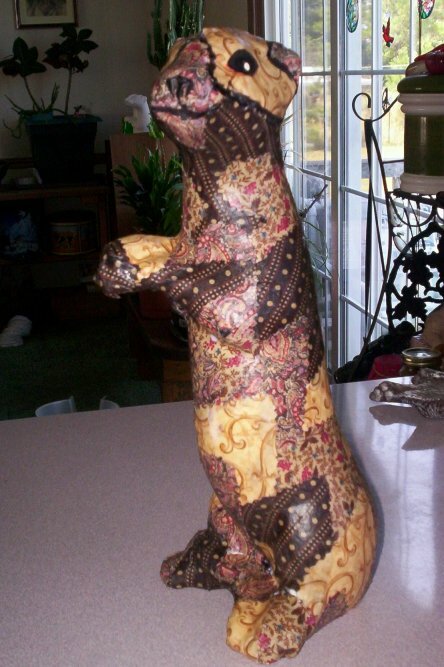 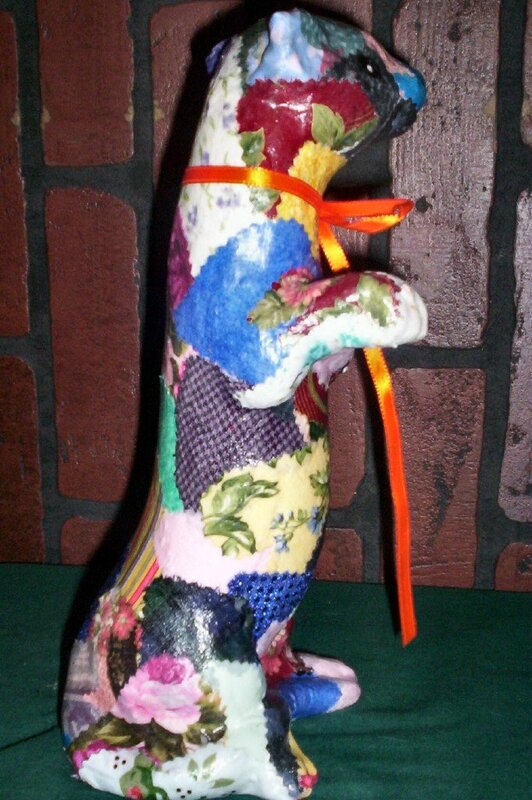 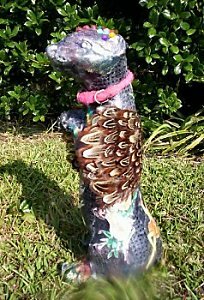 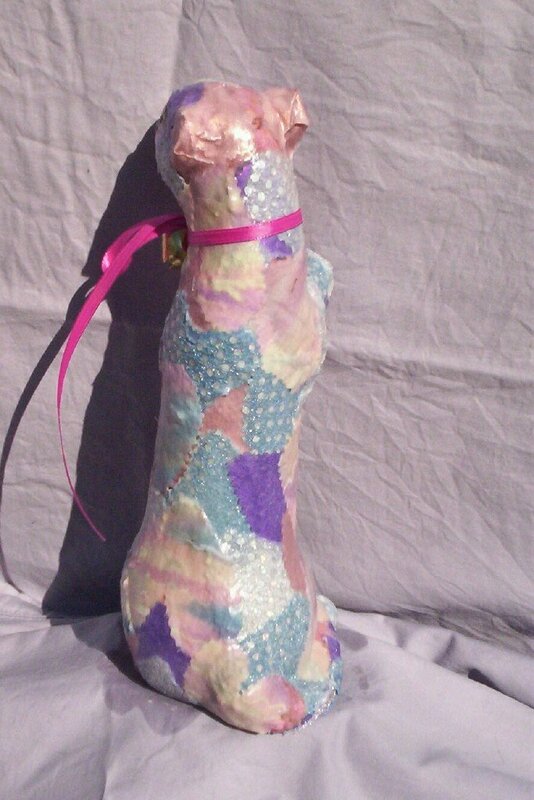 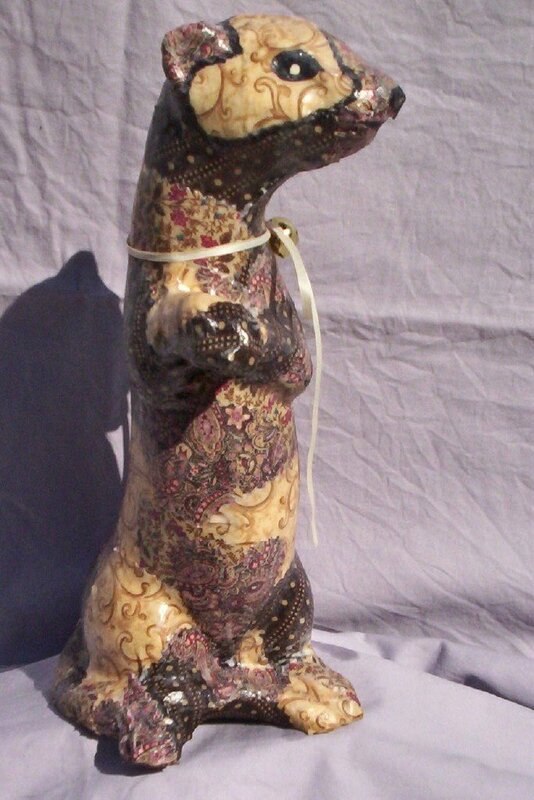 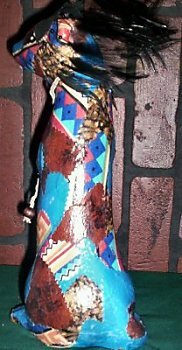 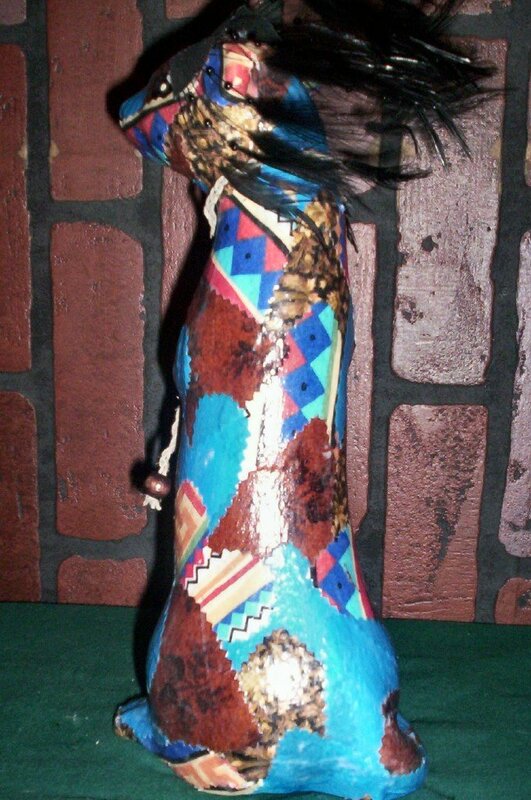 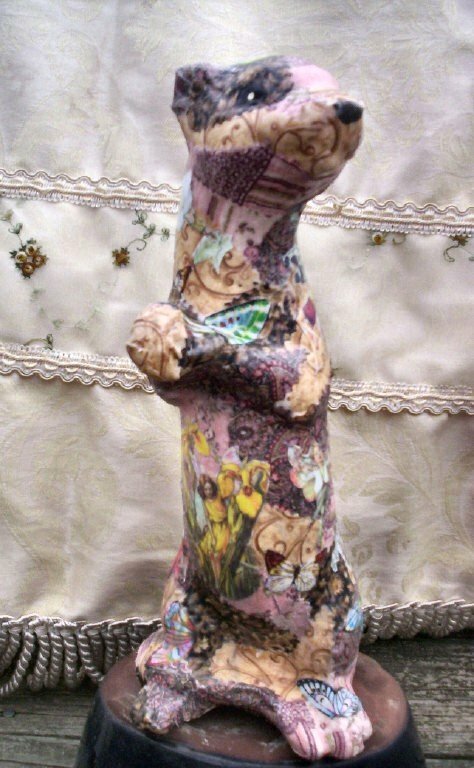 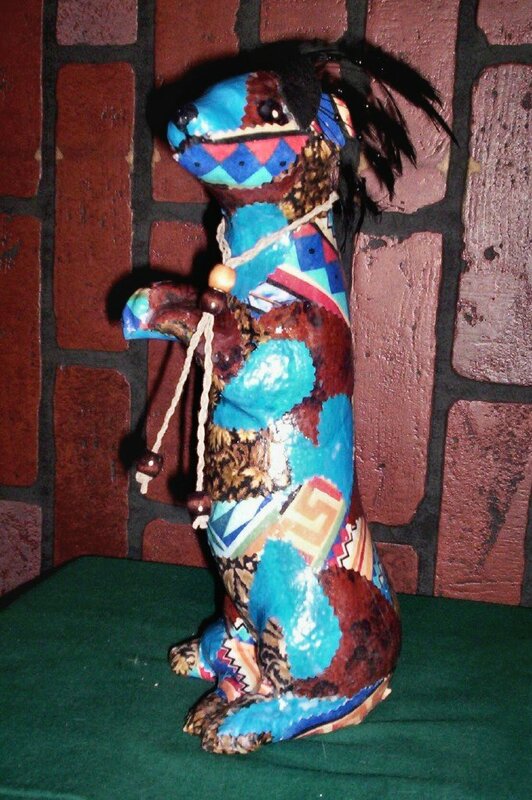 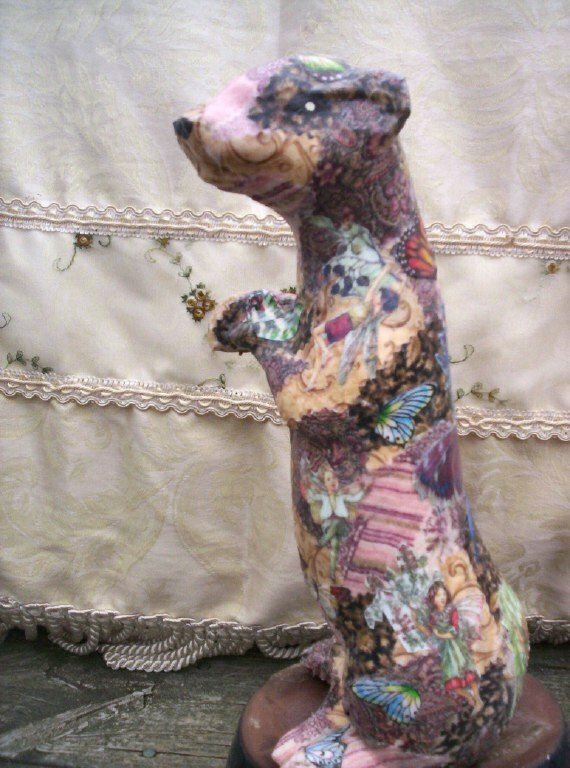 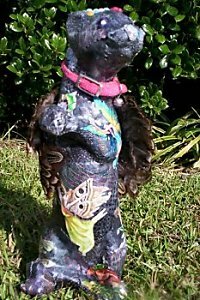 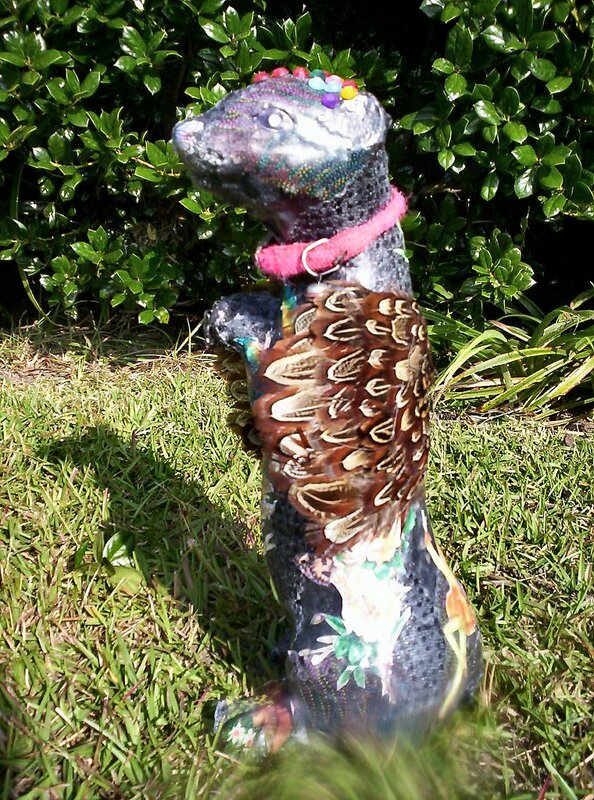 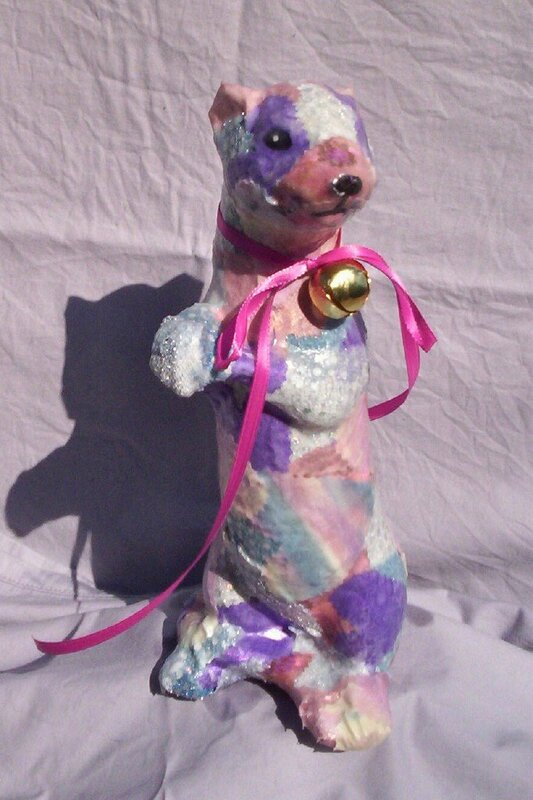 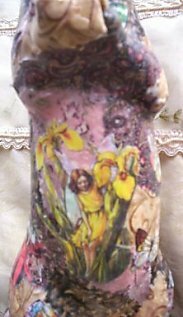 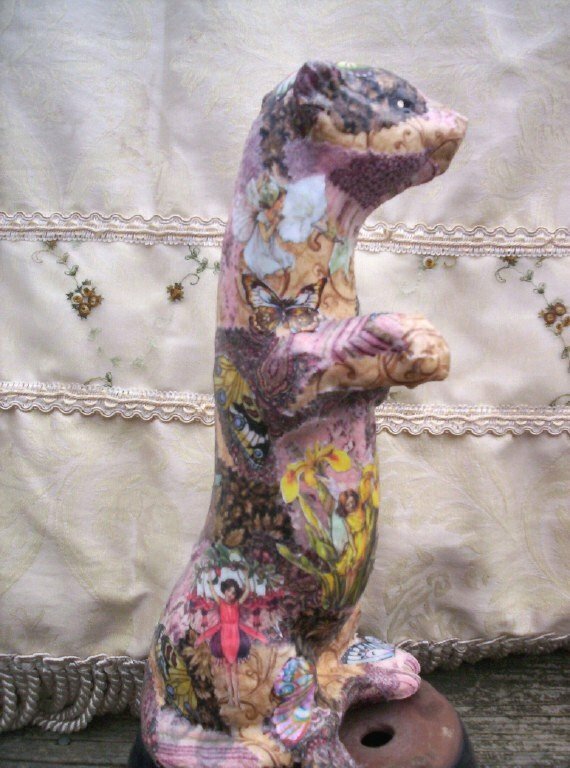 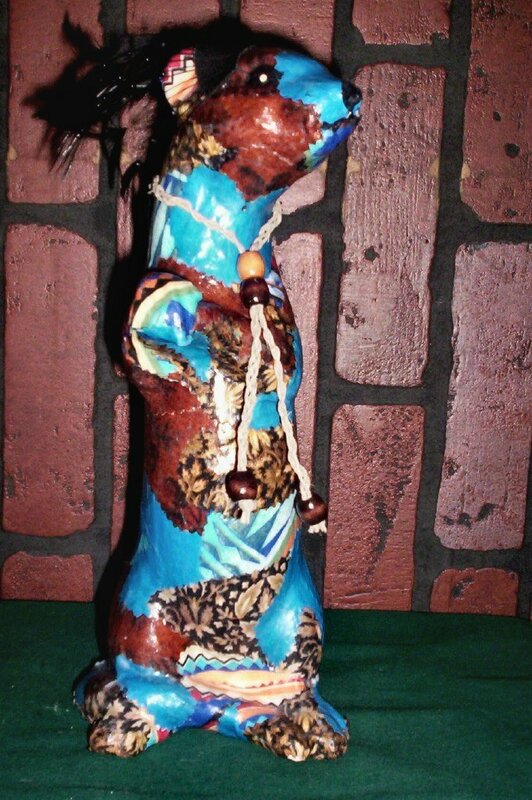 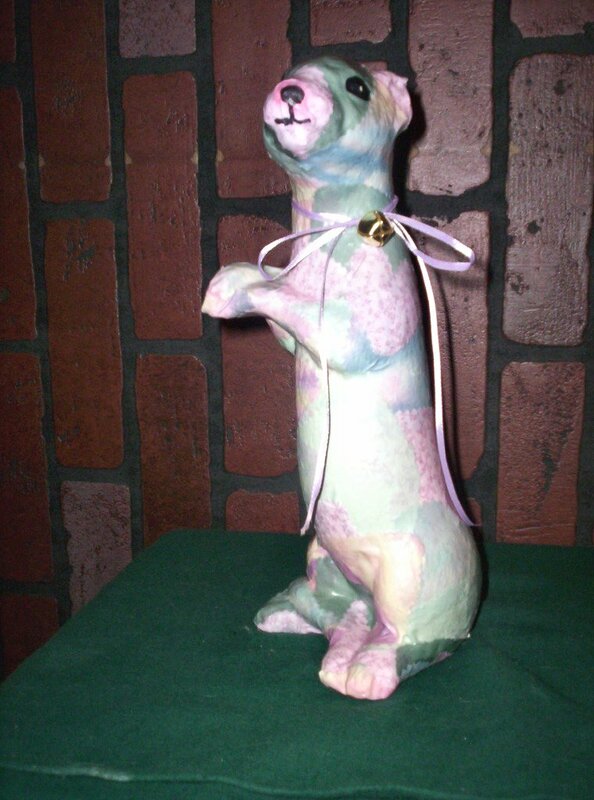 This is a 12" tall ceramic statue of a ferret that is decopauged entirely of heart shaped ferret patches. 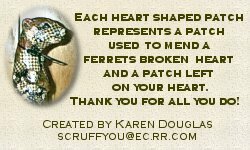 Each heart shaped patch on this ferret represents a ferret's heart that you have patched and a patch left by that ferret on your heart. 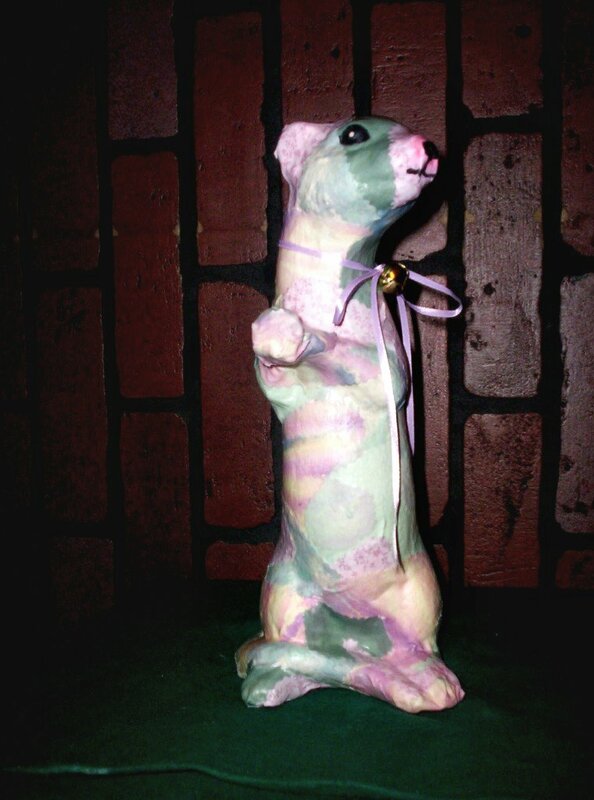 or for you to get for yourself in memory of each ferret that has grabbed a piece of your heart. 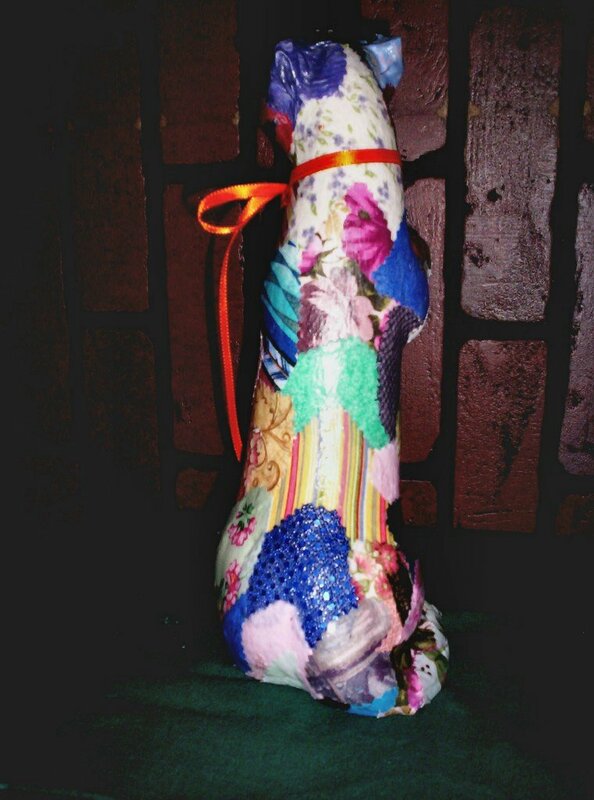 This is the wall hanging I made out of the top of a cheese box. The ferret can also be colorized with colored pencils and, of course, background is always changing depending on availability of scraps. 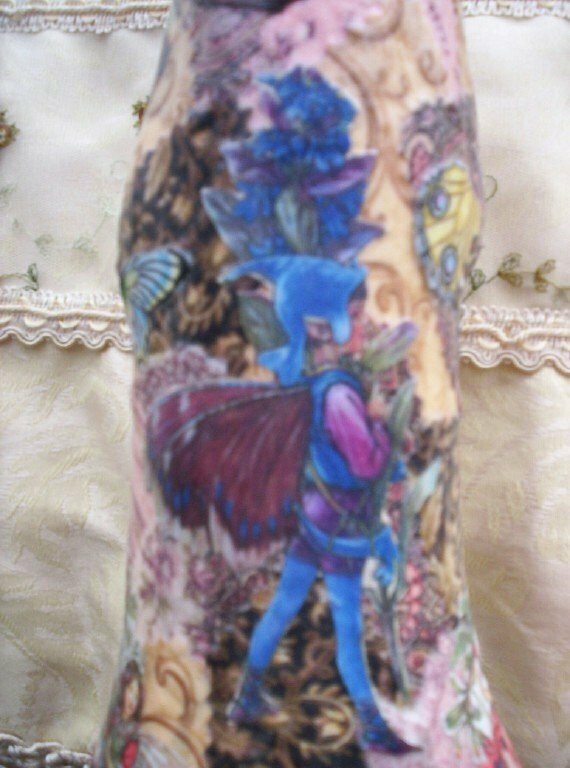 All patches on these are also heart shaped and could have a card very similar to the statues. 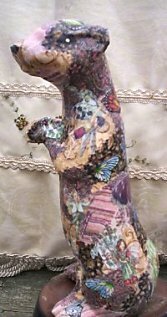 Just click the pics for larger views. 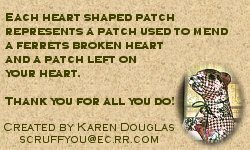 Please use scruffyou@ec.rr.com for my PayPal addy. 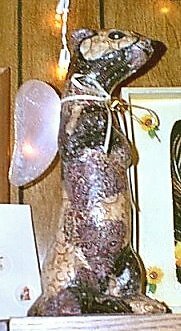 Please e-mail me for other arrangements. 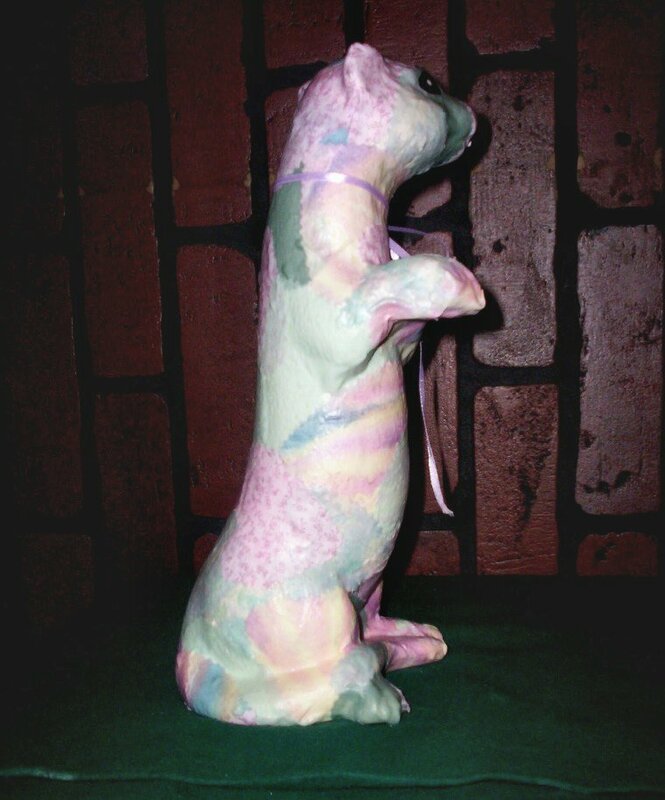 The proceeds from the sale of these are going to defray the cost of vet care for 5 ferrets. 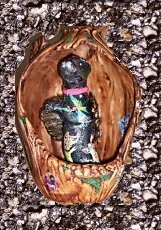 2 elderly with health issues. 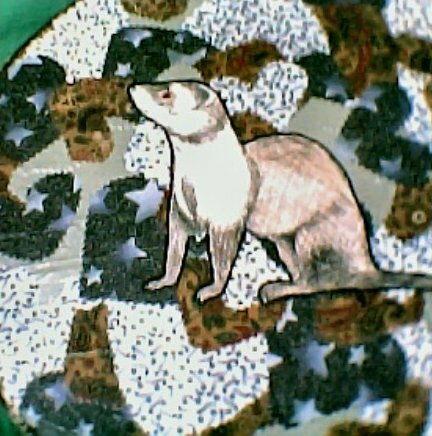 2 middle aged (4) and one youngster (2yrs). 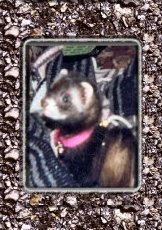 All the ferrets except for Jubilee are rescues or adoptions from a shelter.